Spring starts Wednesday, and the fun never ends. Here’s what you can do in Tucson this weekend. A delight for the eyes and ears, Davis – Montham Air Force Base presents an amazing display of aerial spectacularness! The USAF Thunderbirds take over our airspace. Thunderbirds, Warthogs & Raptors oh my… Welcome to the desert! It’s Saturday and Sunday…you can’t miss it! Just look up! Get all the details here. After the roar of the jets, chill out to the roar of Shine Down, Asking Alexandria, Fever 333 and Papa Roach at KFMA Day. It’s this Saturday from Noon to 10PM at Kino Veterans Memorial Stadium. Get your tickets here. If you’ve ever wanted to adopt a wild horse, here’s your chance. The Bureau of Land Management is bringing their adoption program to Southern AZ. We visited a local mustang trainer here in Marana. For more information in this adoption event, and trainer Jeff Cook’s story, click here. Are you ready for THREE days of roller derby action? Tucson Roller Derby is hosting the 13th annual Dust Devil Invitational, Mar 29 – 31, 2019 at the Tucson Indoor Sports Center. That’s right with WFTDA Teams, B-Teams, and Juniors Teams! Your weekend pass will grant you access to all games over the weekend; one-day tickets will also be available. There will be Dust Devil specific merchandise to buy and vendors to browse in between your derby viewing pleasure. These women are TOUGH! Watch this video on the women of Tucson Roller Derby! $10/weekend or $5/day for ages 11-17. It’s just a short drive to Elgin for the first 2019 Craft Artist Festival, Saturday. Held quarterly in the courtyard of the Elgin Distillery, local crafters and artisans help support Tragedy Assistance Program for Survivors (TAPS). Get full details here. Gaze at the stars from one of the darkest skies in Southern AZ. Explore the night skies Saturday. Jim Knoll from TAAA will discuss “What’s to See Up There?” at 6:30 with observing starting from 7:30 – 9:30 pm. at the Chiricahua National Monument with the Tucson Amateur Astronomy Association. They’ll have telescopes and experts to help you view nebulae, star clusters, and galaxies. We went last year to their Chiricahua Star Party. Watch it here! 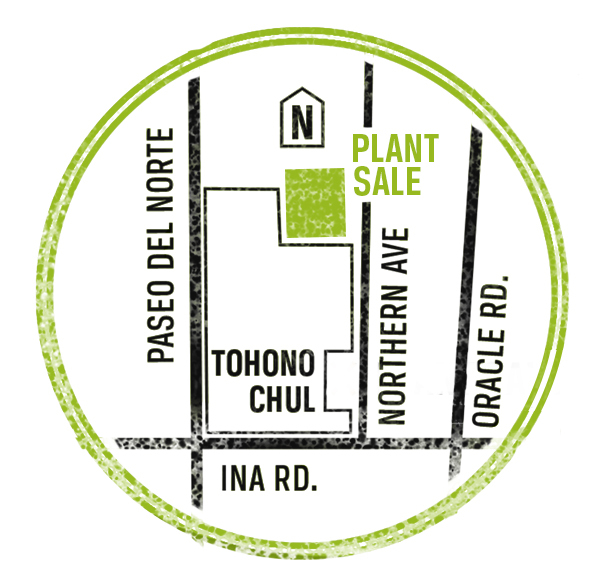 This is your opportunity to bring some of Southern AZ’s most unique plants into your home.Tohono Chul is selling over 500 varieties of native plants that will help make your house a home. It’s all day Saturday and Sunday. Get the hours and more details here. Reid Park Zoo’s Asian Lantern Festival ends this weekend. It’s your last chance to see larger than life lanterns that create a wonderland of Asian-inspired entertainment, cuisine, and culture.